Since 1851, Fruit of the Loom has been producing high-quality apparel items for men, women and children. Today, it is a leading global company that specializes in the marketing, design and manufacture of undergarments, t-shirts and casualwear items. It is the leading seller of men’s briefs in America, and it is one of the most recognizable brands in the world. Chances are, you have something made by Fruit of the Loom or a member of its family of brands hanging in your closet or folded up in one of your dresser drawers right now. Let’s dig a little deeper into the history of the brand and learn more about its origins, what the company is like today and how it will likely continue to grow in the future. 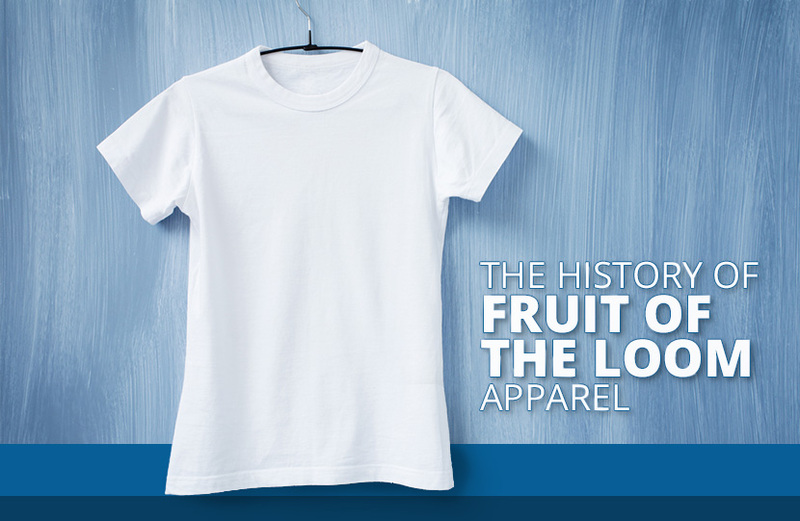 The Fruit of the Loom brand was born in Rhode Island in the mid-1800s. Originally founded by two brothers–Benjamin and Robert Knight–as the B.B. and R. Knight Corporation, the first mill opened its doors and started producing high-quality cotton textiles and cloth in 1851. The “Fruit of the Loom” name was born five years later when Robert Knight visited his friend and customer, Rufus Skeel. Skeel sold cloth from the mill owned by the Knight brothers. His daughter painted apples on some of the bolts of cloth he sold, and the ones with the apples proved to be the most popular. Knight decided that apple labels would be a perfect symbol for his “Fruit of the Loom” trade name. In 1871, Knight was granted trademark number 418 for the “Fruit of the Loom” brand. The trademark was issued just one year after trademark laws were first passed by Congress, and Fruit of the Loom is one of the oldest existing trademarks. It predates the light bulb, Coca-Cola and even the paper bag. Fruit of the Loom’s broadcloth quickly became well-known as the best fabric for making homemade clothing and linen products that were common during that time. Textiles from Fruit of the Loom remained in high demand for as long as women produced their own linens and clothing. The rise of the manufactured clothing industry in the early twentieth century, however, significantly diminished the fabric market. Instead of making all of their own clothing and linens by hand, women increasingly favored ready-made products. Although the company’s original market dwindled, Fruit of the Loom remained popular. In 1928, Fruit of the Loom started licensing their brand to manufacturers of finished clothing lines. Around the time when a marked number of the company lost many of its direct consumers, a young immigrant by the name of Jacob Goldfarb launched his own clothing business. While working for the Ferguson Manufacturing Company, he discovered that the company only offered its lowest-priced items to retailers who also purchased products with higher price tags. He determined that he could establish a popular business by providing retailers with exclusively low-priced, high-quality garments. Goldfarb decided to start out offering the most popular style of men’s undergarments–the union suit. He named his company “The Union Underwear Company” and despite not having his own factory, his company quickly began producing the garments. He purchased his fabric from a supplier, had it shipped to a cutter and then sent the pre-cut parts to a sewing shop for assembly and shipping. He kept up this system until the beginning of the Great Depression. 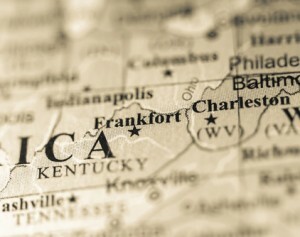 In 1930, Goldfarb was approached by promoters who were looking for an industry that would create jobs and increase the tax base for the city of Frankfort, Kentucky during the ongoing depression. The city offered to build a factory for the business, which would simplify The Union Underwear Company’s manufacturing process by putting all of its operations under one roof. Goldfarb accepted this offer and, five years later, he had 650 people working for him in his new plant. Goldfarb purchased a 25-year license for Fruit of the Loom in 1938 as part of his efforts to become a national marketer. He felt confident that the brand would make his products well-known nationally. The Union Underwear Company established a second factory which began producing boxer shorts shortly before the beginning of World War II. In 1941, when the United States joined the Allied effort, the company was contracted to produce millions of pairs of G.I. shorts. For its efforts and its contributions on the home front, Union Underwear received several commendations from the efforts. During the post-war era, Goldfarb implemented numerous innovations that set Union Underwear and Fruit of the Loom apart from the competition. Prior to World War II, underwear was typically sold individually, but in the late 1940s, Goldfarb began selling his boxer shorts as sets of three pairs in a printed cellophane bag. This move created a trend that has become the industry standard for most basic undergarments sold in the United States. In 1948, the company expanded to include knit underwear, and a third factory was opened in Campbellsville, Kentucky in 1952. This facility featured internal bleaching and knitting facilities for Union Underwear, which helped the company establish greater control of production. With this factory, the company also gained the ability to manufacture a wider range of undergarments for men and boys. While Goldfarb was only a licensee of the Fruit of the Loom trademark, he was the only one to use his own funds to pay for consumer advertising. In 1955, his Union Underwear Company became the first undergarment company to advertise its products on network television. In addition to purchasing spots during the Today Show, the company started advertising its products on posters, banners, price tickets, signs and newspaper slicks. It also launched a cooperative advertising program to boost sales for Fruit of the Loom. Goldfarb coordinated his sales and advertising campaigns with seasonal holidays and events, including Christmas, Father’s Day and Back-to-School. During this time period, the Union Underwear Company strategically aligned itself with the mass merchandisers that were becoming increasingly popular. Within a few decades, nearly half of all men’s basic undergarments were sold by these mass merchandisers and discount stores. In 1955, the Union Underwear Company was taken over by a newly formed conglomerate known as the Philadelphia & Reading Corporation. The corporate structure created additional resources for Union Underwear and enabled it to expand its manufacturing operations. By this time, Union Underwear had become Fruit of the Loom’s dominant and largest licensee. To many consumers, the “Fruit of the Loom” brand meant underwear more than fabric. The licensee had actually become larger than Fruit of the Loom itself, and to ensure that the trademark would remain available, in 1961, Philadelphia & Reading purchased the Fruit of the Loom Licensing Company. Northwest Industries purchased the patent owned by Union Underwear in 1968. This created new capital which allowed the company to continue to grow. During the same year, Goldfarb stepped down as chair. He was replaced by Everett Moore, who began working at the company’s Frankfort factory in 1932. Throughout the late 1960s and early 1970s, the Union Underwear Company worked to energize advertising for men’s underwear. The company contracted Howard Cosell, a well-known sportscaster, to appear in a series of five television commercials over the course of three years beginning in 1968. Terry Thomas, a British comedian, was selected as the company’s spokesperson. By using celebrity spokespeople, Fruit of the Loom became a more recognized brand and created awareness for the brand’s underwear. In 1975, Union Underwear made advertising history. During this year, they launched the “Fruit of the Loom Guys” campaign, which featured commercials with three men in costume as an apple, a bunch of grapes, and an autumn leaf–all elements of the Fruit of the Loom trademark. These characters helped make the brand a household name and propelled the Fruit of the Loom brand to 98 percent recognition. This advertising campaign is also credited with doubling Union Underwear’s share of the men’s and boy’s underwear market. The Union Underwear Company acquired the BVD trademark in 1976. It sold BVD as a separate line of underwear that was aimed at higher-end department stores. The company also began expanding its product line in 1978 to include decorated underwear for boys and girls known as “Underoos. During the late 1970s, Union Underwear also expanded into blank Fruit of the Loom t-shirts for the screen printing industry. This expansion evolved into a massive company known as “Screen Stars,” which sold a wide range of wholesale blank t-shirts, sweatpants and sweatshirts. During the 1980s, there was a trend toward leveraged buyouts. Like many companies, Union Underwear was bought out during this time. It was acquired by William F. Farley in 1984 when he paid $1.4 billion to purchase Northwest Industries. The parent company was renamed “Farley Industries.” Like many others, Farley parlayed his purchases into larger conquests until, by the end of the 1980s, he had built an apparel and textile conglomerate with 650,000 global employees and $4 billion in annual sales. The conglomerate was restructured in 1985, and $260 million in shares were sold. During this restructuring, Union Underwear was renamed Fruit of the Loom, Inc. to help more closely relate the company to its well-known trademark. Farley strove to improve operating efficiency and squeeze additional profit out of the company’s status as the leading manufacturer in the undergarment industry. He made changes in manufacturing, modernized production in the United States and expanded the company into Europe. The manufacturing changes implemented throughout the 1980s transformed Fruit of the Loom from an underwear manufacturer into an apparel company. The company focused on producing men’s fashion underwear, women’s underwear and socks. The Fruit of the Loom label was applied to sportswear in 1987. During the 1980s, Fruit of the Loom also made history by releasing its popular pocket t-shirt in a rainbow of stylish colors. During the 1990s, Fruit of the Loom was impacted by widespread downsizing of the American textile industry. 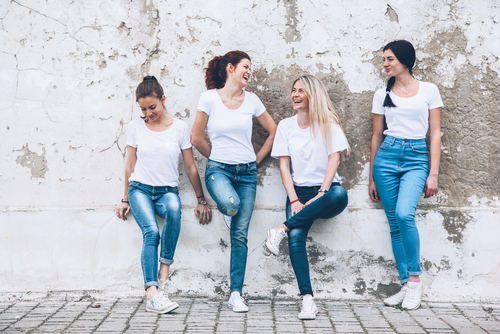 Instead of focusing on briefs and boxers, which are low-profit-margin items for the business, it started focusing more on developing casualwear and activewear products. It did this by both expanding its own product lines and by purchasing other brands. It acquired Salem Sportswear in 1993 and came up with a licensing agreement that it allowed it to produce and market athleticwear under the Wilson brand. In 1994, Fruit of the Loom acquired Pro Player, Artex Manufacturing Inc. and Gitano Group. In 1999, the company filed for Chapter 11 bankruptcy protection after posting a loss of $576.2 million. Stocks that were worth roughly $44 per share in 1997 dropped to just over $1 by 2000. Berkshire Hathaway Corporation, which is controlled by investor Warren Buffet, purchased Fruit of the Loom from bankruptcy in 2002. The company was purchased for roughly $835 million in a deal that was closed on April 29, 2002. The company purchased Russell Corporation in 2006 and VF Corporation’s Vanity Fair Intimates company in 2007. Despite the numerous challenges Fruit of the Loom faced throughout the 1990s and early 2000s, it has remained an industry leader. As a part of Berkshire Hathaway, the company has gained financial security and a firm foundation on which it can continue its growth. Today, it is a leading global company that specializes in the design, manufacture and distribution of apparel for men, women and children. Fruit of the Loom takes corporate responsibility seriously and strives to provide support to the communities in which its facilities are located. It is also committed to ensuring that it operates in a socially responsible fashion to protect the rights of its employees, partners, etc. Lastly, Fruit of the Loom is committed to taking proactive steps toward reducing its impact on the environment. It complies with all environmental laws and regulations and strives to be as environmentally friendly as possible. Fruit of the Loom t-shirts and other products are some of the best in the world, and they are sold at low prices. At The Adair Group, we carry a complete range of products from this industry-leading company. Browse our selection today!